With all the perks of a quaint college town, Urbana promises to bring its residents, students, and visitors everything you could possibly want, filled with eclectic restaurants, bars, boutiques, and museums all in the empowerment of one of the best universities in the country. Urbana is home to the University of Illinois at Champaign-Urbana, its Memorial Stadium being able to hold almost 80,000 people. While the university is obviously a site to see in itself, Urbana also is home to some amazing museums and parks, including Krannert Art Museum, Spurlock Museum, Anita Purves Nature Center, William M. Staerkel Planetarium, and the Aikman Wildlife Centre. Local favorite eateries include Casa Del Mar, Fernando’s, The Apple Dumplin’, and The Dancing Dog. Some favorite entertainment options are The Urbana Sweetcorn Festival, Market at the Square, and Station Theatre which hosts events and performances almost every night of the year. Howl at the Moon is the country’s biggest name in Dueling Piano entertainment. Howl2GO delivers our amazing, high energy show to any venue in the Urbana area. Bringing Howl2GO’s show to any venue in Urbana means you’ll be getting only the country’s top Dueling Piano performers. All our performers are young, exciting and high energy, as well as being experienced in playing all types of events anywhere in the Urbana area. Howl2GO provides all the production you need to make your event look and sound amazing. We have top of the range PA sound systems and custom built lighting shows that you will not see anywhere else. Our competition simply does not begin to come close to our production! We also supply our custom built electric baby grand pianos that can be transported into any size or shape venue in the Urbana area. Regardless of how many guests you’re expecting, from 20 to 2000, we have you covered! 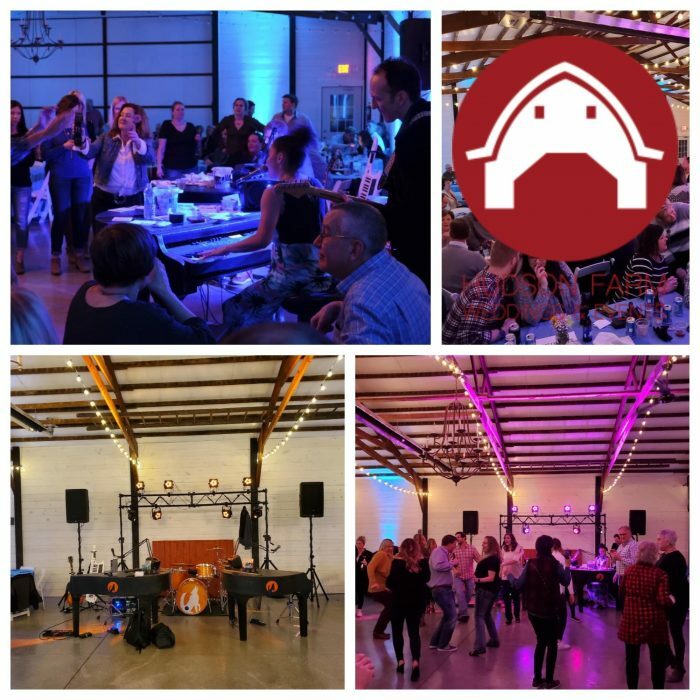 We specialize in all types of events, anywhere in the Urbana area company parties, wedding receptions, charity fundraisers or house parties are all made more fun by bringing Howl2GO by Howl at the Moon. We tailor every single show to you and your guests, playing music for all ages. Fundraising for churches, schools or your chosen cause is perfect for our show – plus advertising that you have Howl at the Moon performing is a huge draw in the Urbana community. Dueling Pianos in Urbana is all we do! Howl2GO has a dedicated team of professionals on staff. From our sales manager who will help build out your vision, our production team who will communicate with your venue in Urbana, a wedding specialist and, of course, our world-class entertainers, picked specifically for your event. We only bring Howl at the Moon trained musicians, all of whom have experience playing at one of our locations nationwide. 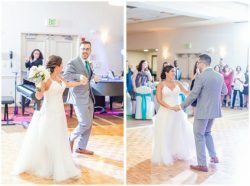 We are a perfect choice for your wedding – we keep numerous couples in Urbana and their guests dancing all night, as well as taking care of all your ceremony, announcements and special family dance needs. Don’t risk booking a local fly-by-night company that may not even still be in business when your wedding date comes around, nor one that hires freelance players. Howl at the Moon has been rocking since 1990 and our reputation precedes us. We have a dedicated reviews page so you can read testimonials from hundreds of our thrilled clients in Urbana. Our Facebook page features regular updates, and following us on Instagram and Twitter means you’ll stay up to date on where we’re playing next near Urbana IL.